In advance of the release of Solo: A Star Wars Story, a behind-the-scenes series with Pablo Hidalgo recently finished up. Consisting of seven segments, all roughly about two minutes each, “BeHan the Scenes with Pablo Hidalgo” was a semi-regular segment on “The Star Wars Show”. 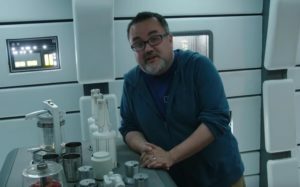 Similar to “Rogue Reports with Pablo Hidalgo”, in which we see six similarly-timed segments appearing on “The Star Wars Show” of Hidalgo visiting the set of Rogue One, “BeHan the Scenes with Pablo Hidalgo” were less about Hidalgo sharing his Star Wars wisdom and more about his interviewing various people working behind the scenes on the movie. 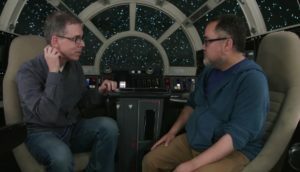 The segments appeared between May and September, with the first segment, “Lando’s Falcon” coming out on the May 16th episode of “The Star Wars Show” and the final segment, “Aliens”, appearing just two days ago on “The Star Wars Show”. The other segments were “Dryden’s Study” (June 6th), “Corellia” (June 13th), “Han’s Speeder” (August 29th), “Creatures & Droids” (September 5th), and “Visual Effects” (September 12th). 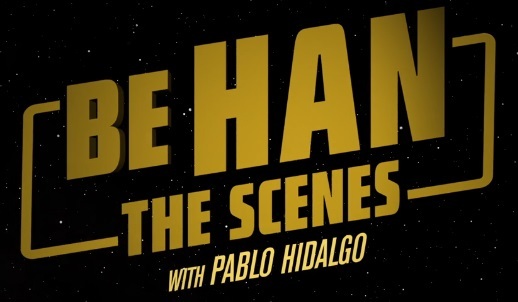 As opposed to “Rogue Reports with Pablo Hidalgo” in which the six segments were released fairly close to the release of Rogue One, the first three episodes of “BeHan the Scenes with Pablo Hidalgo” occurred around the release of Solo, with the final four leading up to the DVD and Blu-Ray release of the movie. 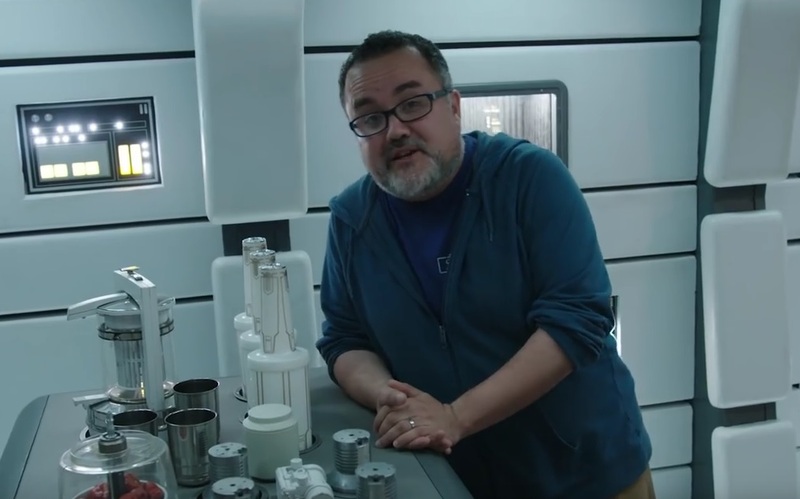 I hadn’t realized how many creatures were involved in this movie, but Neal Scanlan said, “This is probably going to be the biggest show of droids and creatures that we’ve done for a movie so far. 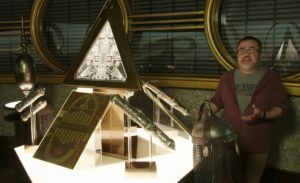 A droid is very much a character – they have their own personalities and it’s very important to us that each droid has that personality and that we can somehow identify and sense like them.” When I re-watch Solo, I will definitely appreciate the movie’s inclusion of droids and creatures a lot more. 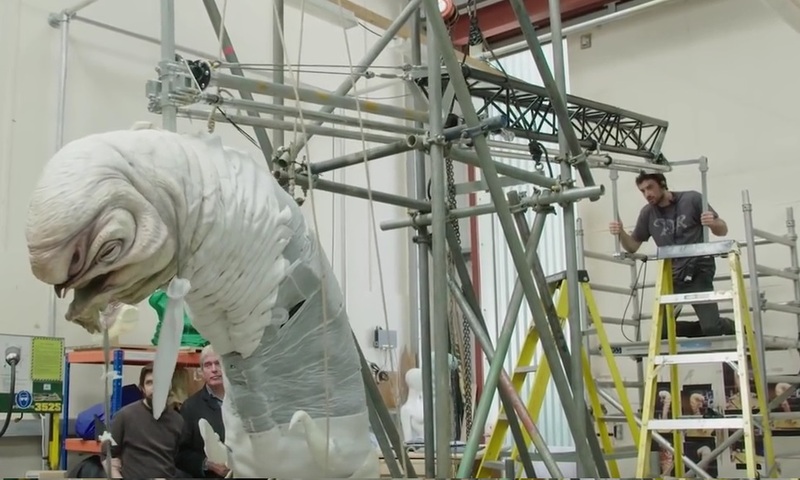 Scanlan, who was in charge of special creature effects on the movie, blew me away with this information on the “Creatures & Droids” segment about Lady Proxima: “We built a tank: the tank is over 11 feet deep in sections. 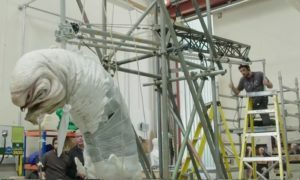 Inside, the tank is nearly 30 puppeteers, they’re all in wetsuits, they’re all submerged, and they’re responsible for bringing Proxima alive.” Wow! 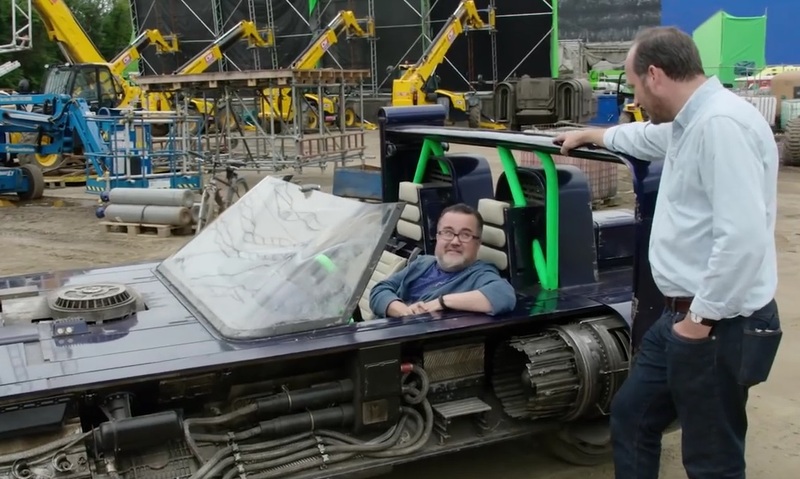 Other interviewees of Hidalgo’s in this series include Daniel Nussbaumer, assistant art director; Mark Ginther, stunt coordinator; Ian Kenny, who plays Rebolt; Jo Vaughan, animal trainer; Sherri Hazzard, key fabricator; Saxon, which plays a Corellian hound; Patrick Tubach, VFX supervisor, ILM; Rob Bredow, VFX supervisor for Solo, head of ILM; Henry Pearce, 3D scanning technician; and Dave Chapman, puppeteer.